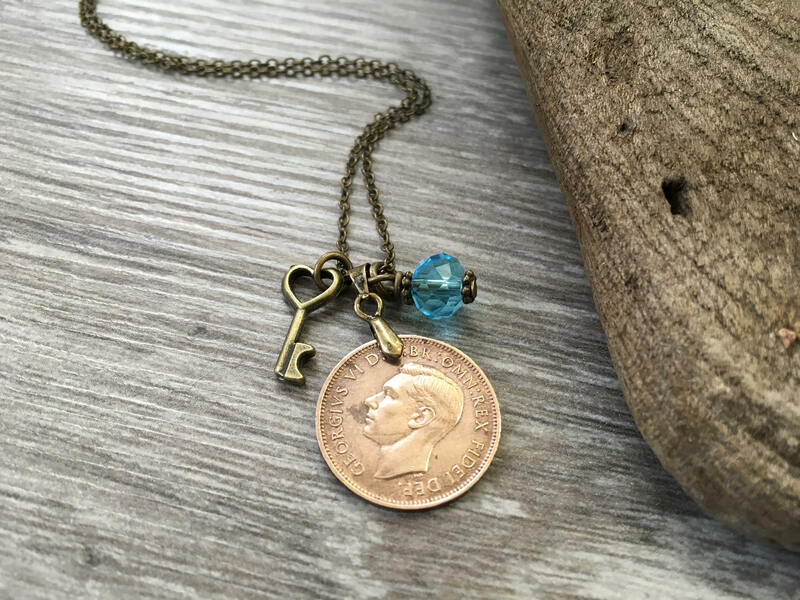 A 1949 wren farthing necklace. 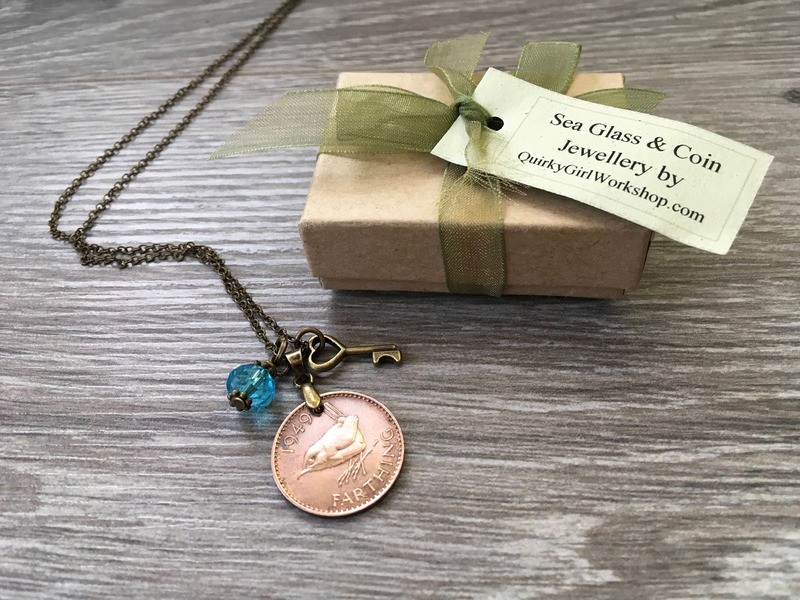 Handmade using a genuine British farthing coin. 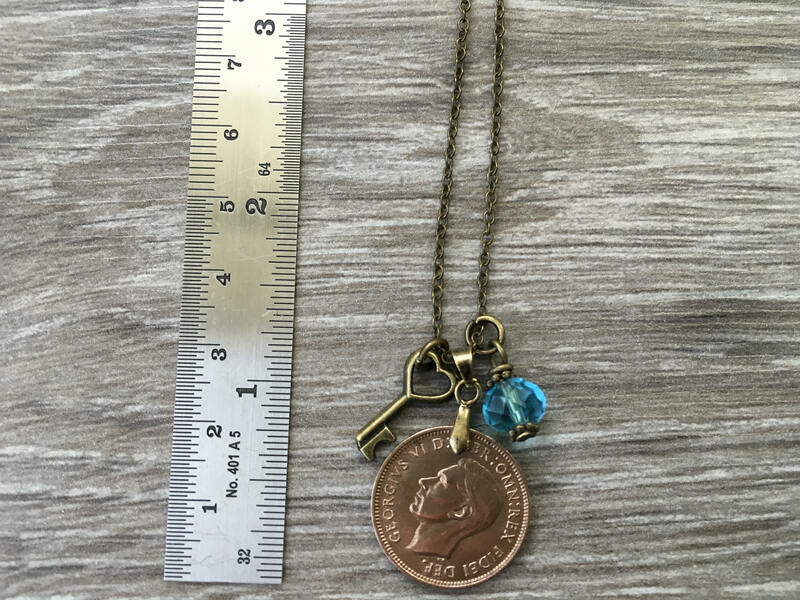 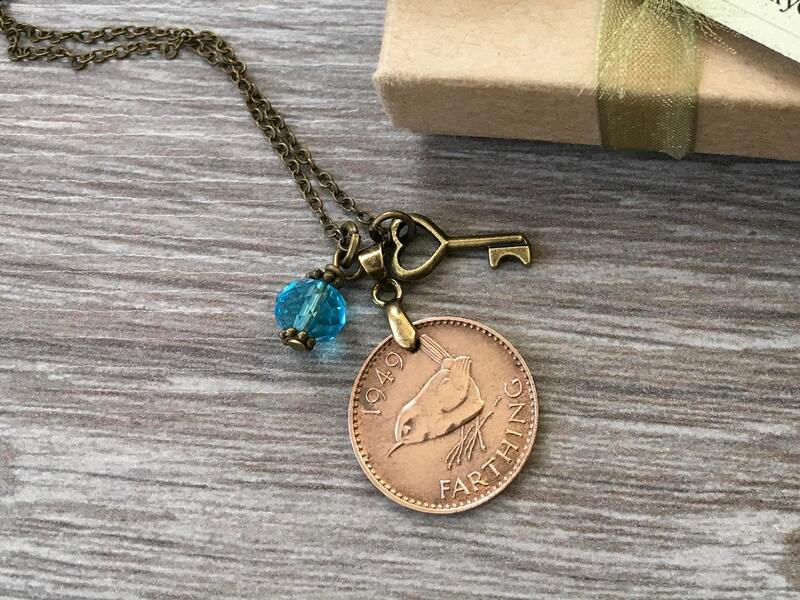 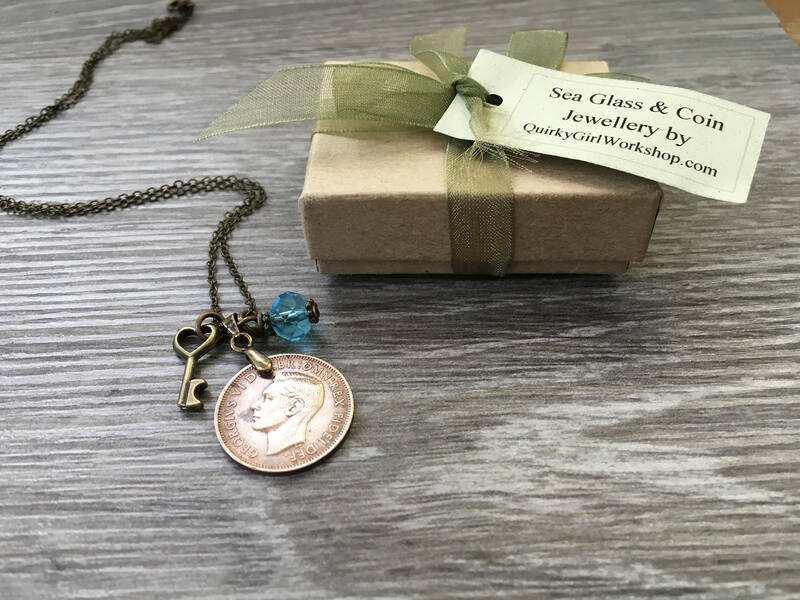 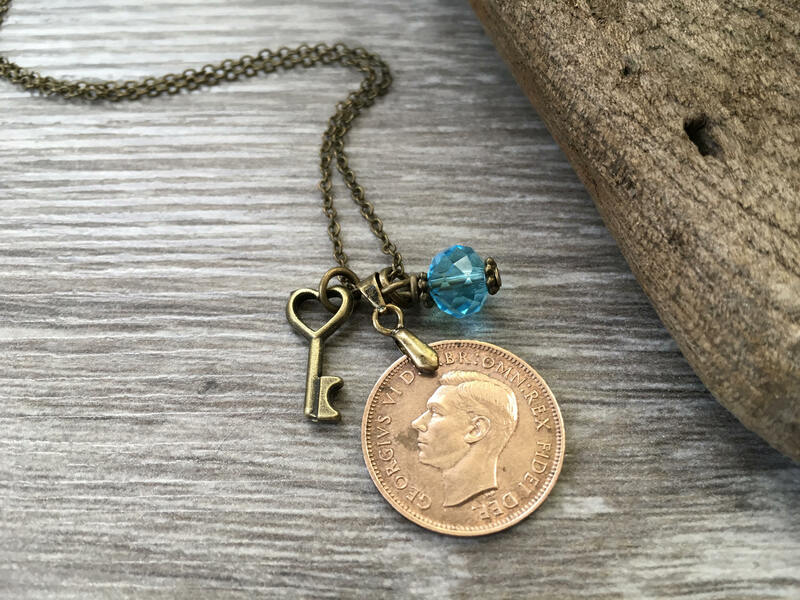 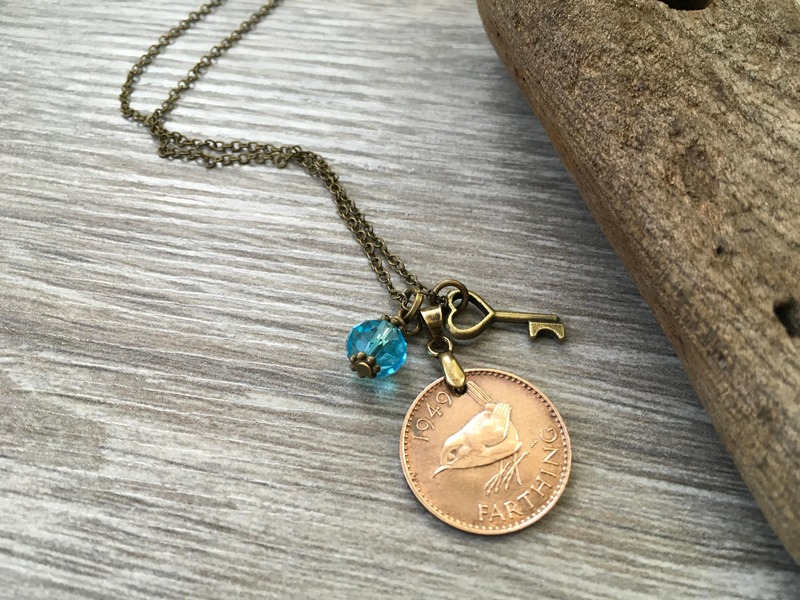 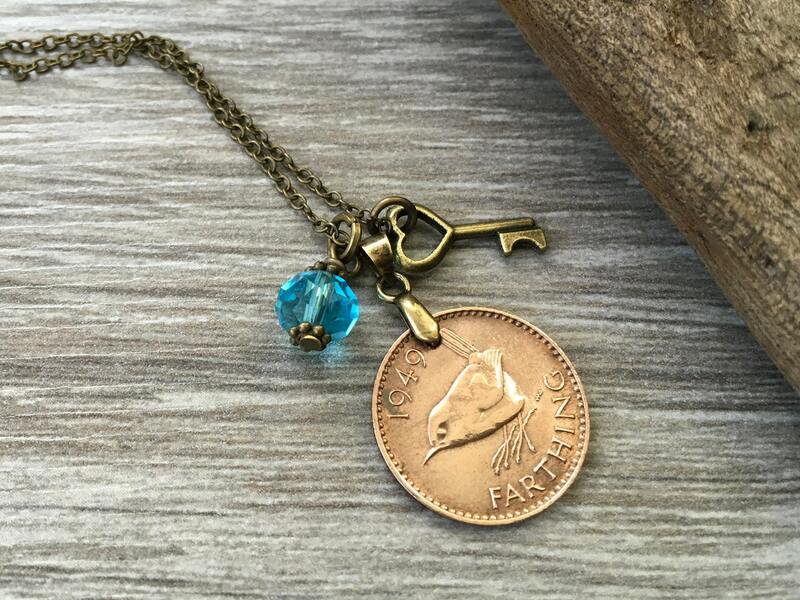 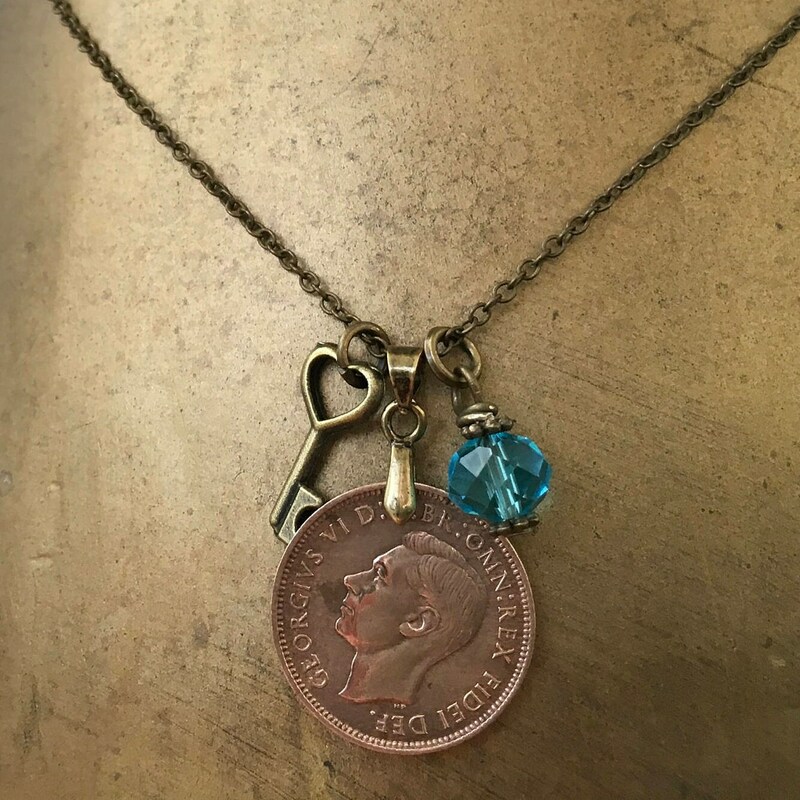 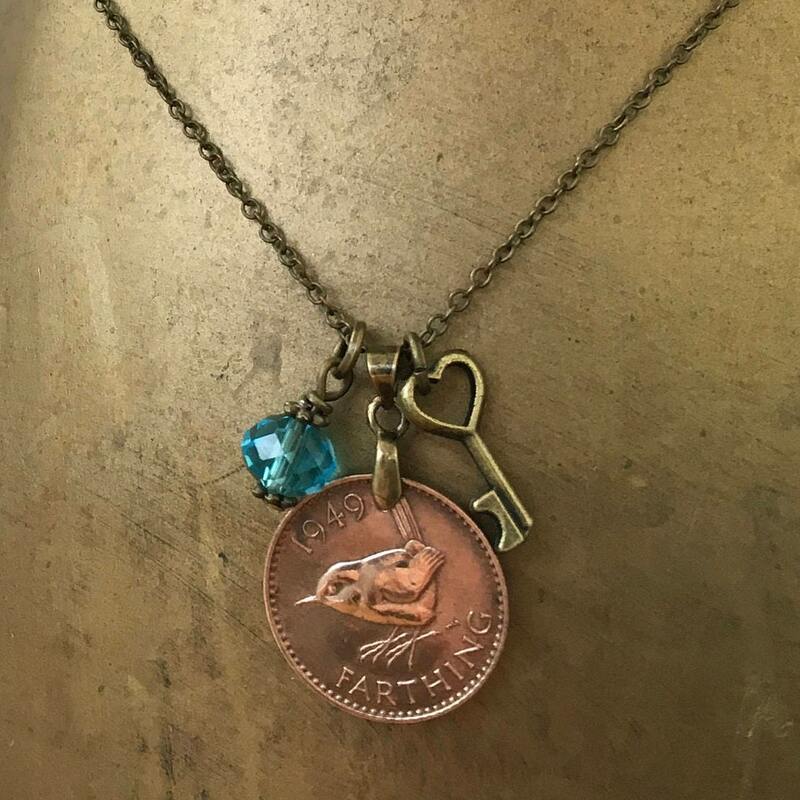 English farthing coin with a skeleton key charm and a blue cut glass charm on an antique bronze plated chain with a lobster clasp.